Stream anime episodes online for free, Watch Yu Yu Hakusho Episode 7 English version online and free episodes. 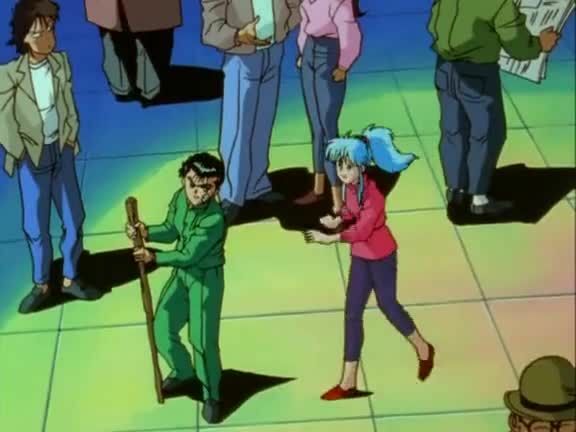 Anime Episode guide, Chapter Yu Yu Hakusho Episode 7 English dubbed Gouki and Kurama Yusuke discovers the first and second thieves, and the artifacts. Gouki, the first thief, possesses the Orb of Baast, and Kurama, the second thief, has the Forlorn Hope. Yusuke defeats Gouki, recovering his artifact. He meets with Kurama, and learns that he plans to use the Forlorn Hope to sacrifice himself to save his human “mother”. Yusuke, believing that Kurama’s sacrifice would cause his mother pain, gives some of his life force so that Kurama will not have to die, and claims the mirror.